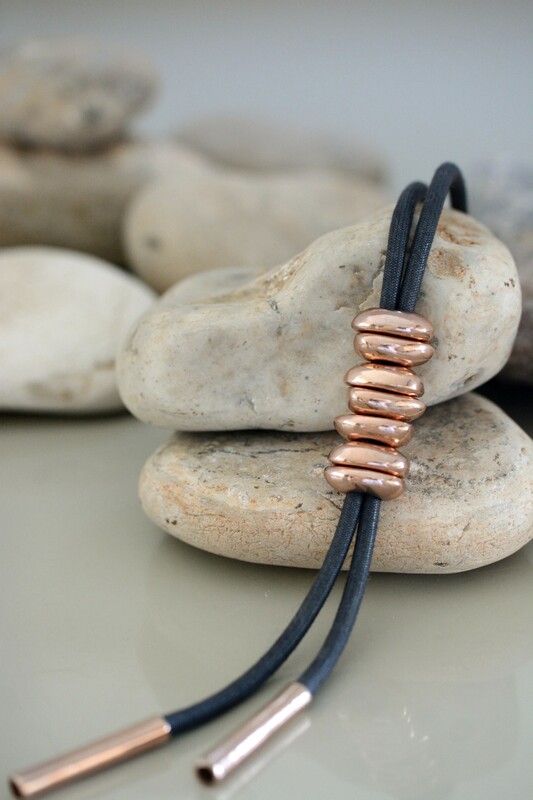 A tie-shaped pebble necklace made from rose gold colored metal and filled with artistic whimsy. This flattering piece is the perfect way to complete a casual look. 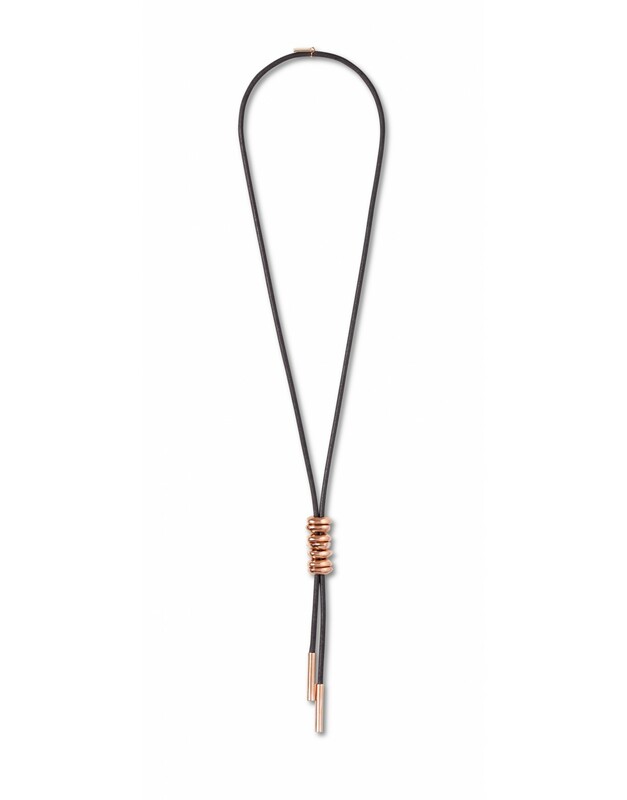 This tie-shaped pebble necklace is filled with artistic flair and genuine whimsy. 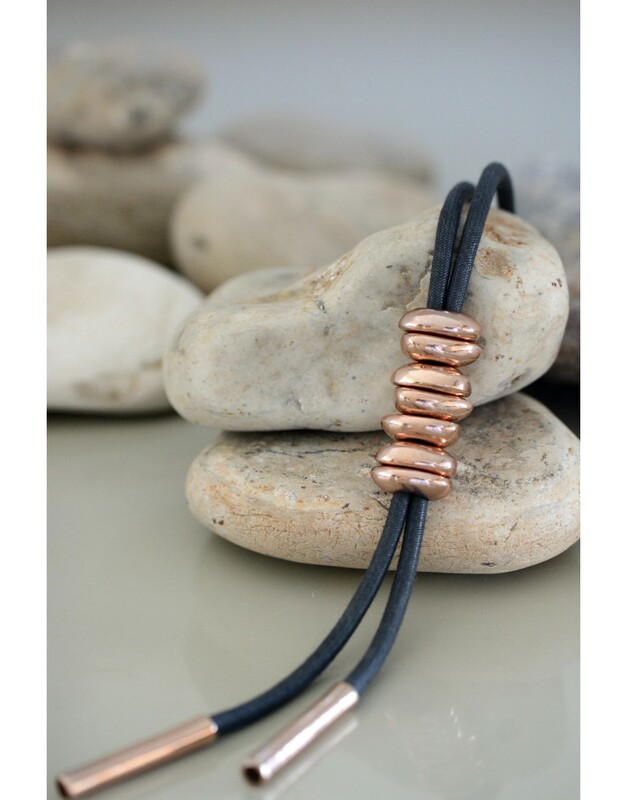 Made from small, pebble-shaped pewter plated with rose gold colored metal, the flattering design and delicate style of this piece is the perfect way to complete a casual look.